Adding brake detail to the trucks of my Plattformwagen as we speak based on your reference. However I am going to stop WAY short of the level of detail you have achieved here. As always, watching with great interest! For the moment I'm in a overload of emotions, will see my sister tomorrow after 4 years. Took the week off as from today and after picking her up we are going to enjoy some Thailand sight seeing. Not much modeling done this weekend, loads of business to finish before having a nice break of work, to get a free e-mail week. But forgot about the rumor. I my e-mail contact with Jana from LZ, she told me the LZ SSyl is no longer in production anymore. Surprise... Thunder Model will come with a SSyl Platform Wagon later this year. To make this story any sense. I asked for replacement, because they could not deliver the resin SSyl. We agreed on sending a G-10 covered wagon. Expecting the LZ offering, but it turned out to be the Thunder Model. Which is awesome in detail(same same). I guess LZ did some good business in the East. This question is off topic, I admit that but right now this thread may be the best place for it. 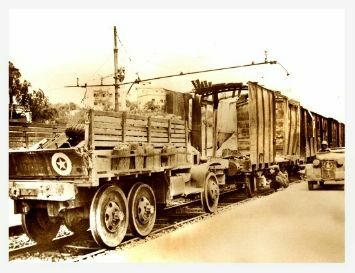 Just how similar (or how different) are British railway goods cars (boxcars) from the German cars? Some seem very similar in general appearance to the German cars but that may just be my lack of experience with either type. Below is the only reference photo I have where I can be sure I am looking at a war era British boxcar and this one has serious bomb damage. Would it be possible to modify a German car to represent a British one? Hi Michael. British railway designs are a total different world. They don't have much in common when it comes box cars. I will look for some examples to show. Ah well - hopes dashed for much similarity. Below is the only reference photo I have where I can be sure I am looking at a war era British boxcar and this one has serious bomb damage. I was under the false assumption these converted CCKW "locomotives" were only used in England prior to D-Day exclusively. 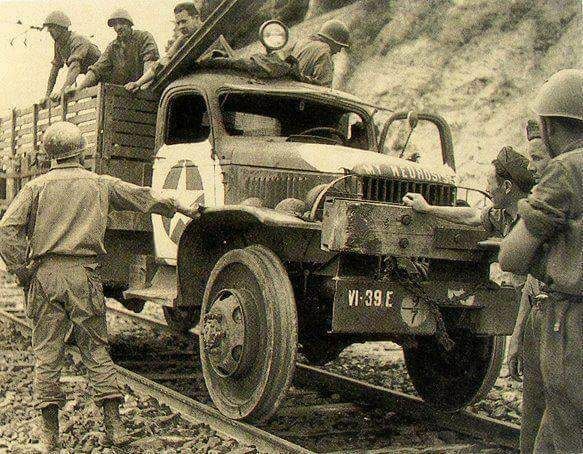 How different were Italian RR cars from the German cars and/or would German cars interchange into Italy while supplying the Italian Axis Theater of Operations? In other words: Would it be realistic to show a German boxcar in conjunction with this Allied vehicle???? That would be a great excuse to buy the new Thunder offering! Thank you for allowing me to momentarily divert the discussion Robert. I very much like it the way it goes in this topic. Building a realistic diorama it would for sure make sense having rolling stock from different countries at the scene. Those Italian box cars are really nice with their typical roofs. Also French box cars have a European look and were used by the Germans. International trains were already a mix of different coaches from different countries in the 1920 / 1930. The UK did not capture the rolling stock from the German after 1945, because it did not suit within their system. 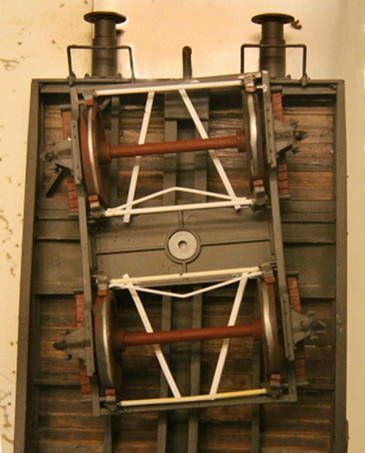 Length and height of the box cars and of course braking systems. Totally different and very old fashioned by that time comparing to the German and rest of Europe. My gosh, the detail work Sabre has done on the frame of that SSyms 6-axle flatcar is nothing short of amazing. I have already built the Dragon 4-axle model but I may have to purchase the Sabre 6-axle just to enjoy all the detail there that was sadly missing from the Dragon offering. Thanks H.P. for this review link to G 10 wagons. 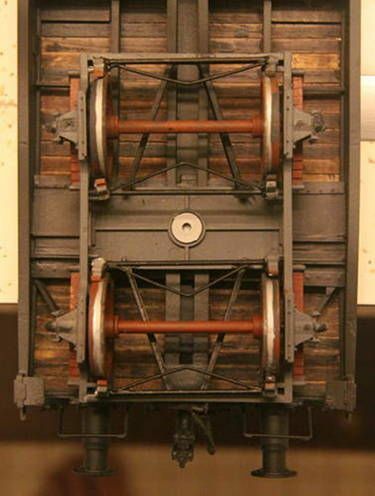 "Talking about the possibility of finding a German G10 boxcar in Italy, just take a look at this review of a N scale model (the last paragraph should interest you )"
I'm always looking for brass modelers doing full detail builds in big scales like I which is 1/32 scale. I bookmarked the site for some investigations. This is what you get from Thunder Models. Most accurate 1/35 scale G 10. Seen the presentation this morning. Looks very similar to the T-Model offering. Some different PE added though. Will see what it is, kits are on their way to my doorstep. Sabre Models still only announce, no pricing yet on their site. Minus, in my humble opinion, is the lack of detail under the floor of their rolling stock. So I'm waiting for Thunder Models to release their Platform Wagon type SSyl. I have high hopes for that one. I have the G 10 from Thunder in my stash and the detail is amazing. PE supplied with the kit is from LZ (correct me if I'm wrong) and research for accuracy of the model too. Is it the old resin from LZ? I think so. But a big plus for Sabre Models is that they offer metal wheels for their SSys, they look 100% better than the plastic ones. For those who like to weather.. 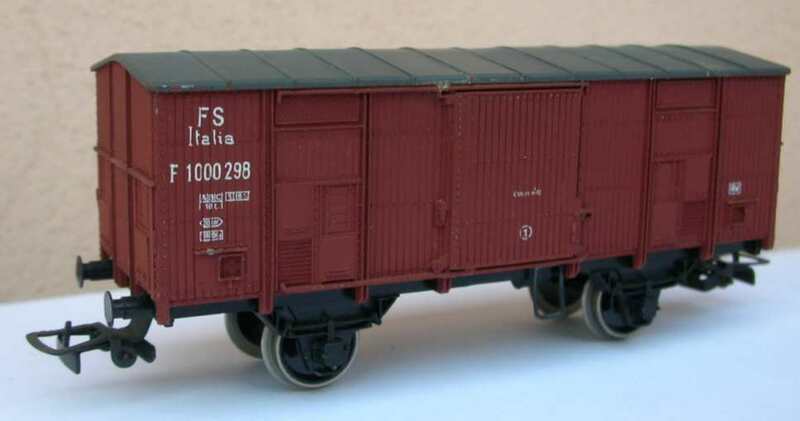 Check out this link... Michael, there are some very nice pictures of multiple Italian Boxcars in 1/32 scale. Good details and manufacturers are mentioned, nice to visit those sites. Stunning material! From long time ago I remembered this, just stumbled in today as I'm looking for sources to get drawings for brake systems of the SSyms Schwerlastwagen. Anyone knows a friend who owns a Märklin SSyms Spur 1 Wagen? Going up North to Changmai for a short vacation, will be back soon. My search for resources did have a giant step today. I found scale drawings that shows all the bits and pieces I want to add. also Track-Link website gave me a lot of links to handle the purchase of 2 SSyms that I received today. 2 T-Model 1/35 scale kits. Again, and what I expected, naked kits with ok measurements. From the parts lists from the drawings (will send a link soon) I can get a lot of detail with some eyeballing, which I can combine with some practice on the SSys done over the last year(s). Well that certainly explains why no German railway cars ended up in Britain after the Great War! Received mine two weeks ago, very interested in how he the did the piping and other details under the box. Good overall details, but brown livery, not very accurate for WWII reading the weathering. Most of them (all) were painted dark grey at beginning of war with an asphalt(paper) roofing. Robert, what you are calling Brown I would call Boxcar Red but I admit I had wondered about his choice of color versus German Gray. I have reference photos of a real but very weathered car in the Boxcar Red color but that could be a post war repaint. Could this model represent a car from the inter war years? Perhaps the Germans painted them the boxcar red at that time and this one never got repainted during WWII. I still have not seen any photos of the underside of the car but I find his rust and paint chipping to be nothing short of amazing!